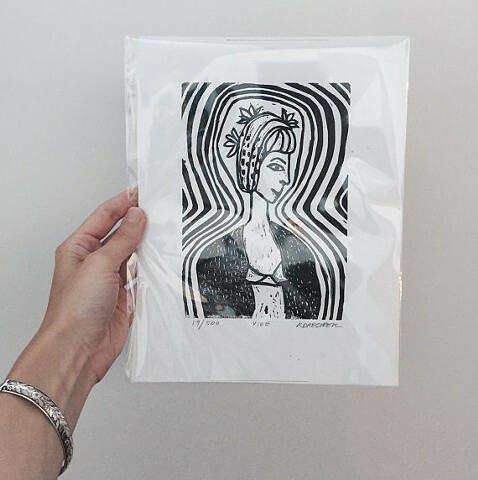 This is an original limited edition hand-pulled print of a woman. This original print is titled "Vibe" and is numbered, titled, and signed in pencil along the bottom edge. Please keep in mind colors may vary by computer monitors. Paper color is fresh white, ink color is black. This listing is for one limited edition print of "Vibe". Due to the handmade nature of the process it may look slightly different from the one pictured in the photo. Your print will ship from Studio Harpy, with care.